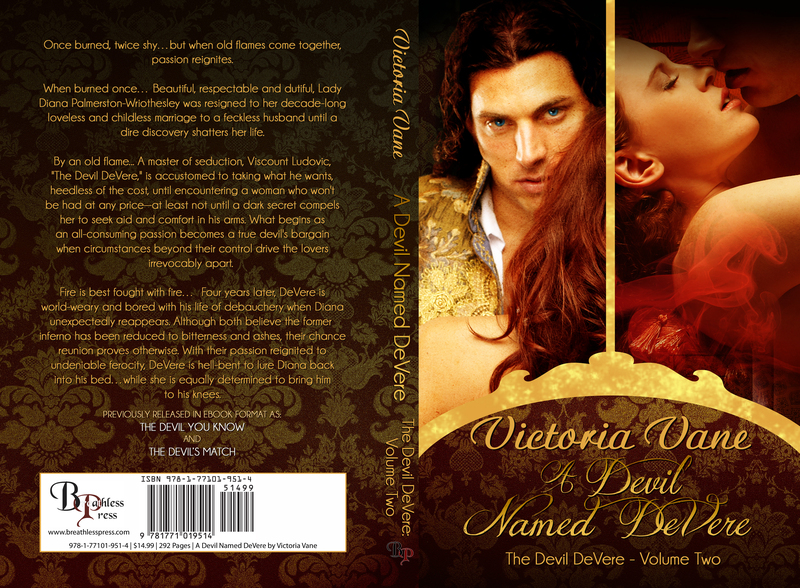 In August I was informed that the print cover I created for Victoria Vane’s A Devil Named DeVere had won Best Historical Cover at RNC in the RONE Awards. It’s been a few months, but my plaque arrived in the mail today, shiny and new. I checked the mail on the way to see Thor: The Dark World (which was amazeballs, by the way) and opened this in the car outside of Dairy Queen. The Devil Named DeVere is part of the Devil DeVere series from when it was published through Breathless Press. The covers I did for the first 4 books are now retired, as the author is now self publishing them. You can find out more about them here. The stock photos came from Hot Damn Stock. A huge huge thank you to Jimmy Thomas and RNC for this honor, and everyone involved.